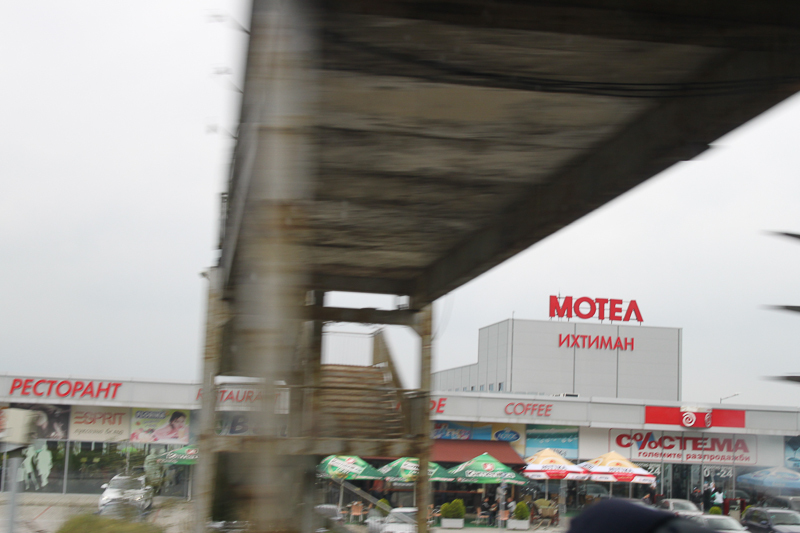 Heading to Sofia on the E80 we pass by freshly renovated motel and market – probably from the 70-ties. The parking lots on both sides of the motorway are connected via a footbridge. We’ll try to stop there on one of our next trips.